If you’re just joining us you’re cordially invited to rock with us from the beginning by clicking here! The First Lady of GrindHard Radio blessed this space with her transparency last week when she talked about her personal struggles and experience with Suicide. She set many a captive free by doing so and I’m incredibly honored that it all took place here at authenticitee. Today she talks more about the business of handling her business…let’s go! When did you discover your voice, literally and figuratively? I began singing three part harmony with my sisters Venus and Dominique when we were about 3,4 and 5 I believe. I started writing poetry when I was about 10 or so, but after recording for several years and not even being able to stand the sound of my own voice I met a producer named Thundakat and he was vital in helping to tame and structure Catastrophe and molding her into Virginia Slim later to be named The Supernova which made me the dynamic force named Virginia Supernova Slim! That was around 2003 or 2004 and I never looked back. I learned how to say exactly what I wanted, how I wanted, but in a way that conveyed my thoughts and emotions to my listeners so that they could comprehend, relate, and enjoy. I learned how to manipulate my voice in different ways so that I could create contrasts in feelings and emotions and how to adequately express different levels of emotion. Being able to paint vivid pictures with songs gave me my voice and the ability to share my experiences and testimony. How/when did you become the 1st Lady of Grindhard Radio? I met Cody Nixon aka Jit Chronicles (Creator/CEO of Grindhard Radio) through word of mouth from a fellow artist in Oct. of 2010 before the inception of GHR when he was the host of another radio show called The Jit and June Bugga Show. My friend Don Juan Valdez told me about the Internet radio show that played the music of indie artists for free and asked me to call the number and listen to the show to support him. As I listened my spirit gravitated to the more dominant host Jit Chronicles and I felt as if he was a kindred spirit! Excited about the possibilities, I submitted my music and became a regular listener and supporter. I would call in and show them some love, promote myself as well as my music, and network with other indie artists. Long story short, the show ended because of differences of opinions and June Bugga came to me and asked me if I was interested in hosting another show with him because Jit wasn’t dedicated and that’s why their show had ended. I committed excitedly, but soon after I learned the truth about why the previous show had been unsuccessful. I also learned that Jit was in the process of starting Grindhard Radio and was looking for hosts. I felt mislead and manipulated, but since I had already obligated myself to N.C Boy For Life (June Bugga’s self involved show) I tried to fulfill that obligation. Also I referred my first cousin Dangerous Tactics who was also an artist to Jit Chronicles for GHR and their premier was March 8, 2011. 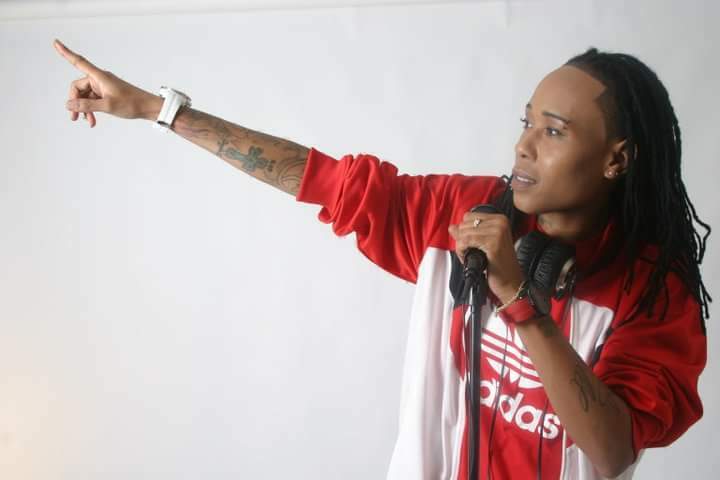 I was a guest Co-host every chance I got, but I did not become an official part of the team and the 1st Lady of Grindhard Radio until after my 11 month break in June of 2012 when i was released from prison. Honestly, my style of music is very hard to describe because different people hear different things when they hear different songs, but I would say it’s kind of like a cross between hip-hop and r&b. I don’t really sing and I don’t really rap, I just flow! I feel like music is a language and I am music’s interpreter, so I just translate what the beat is already saying while conveying the message in a language (style) that’s fun for me! Lol And also easy to visualize. What are the pros & cons of being an indie artist? The pro of being an indie artist is being the boss, but the con to being the boss is paying the cost! When you are independent you can’t depend on anyone but yourself and your grind. You may not have a manager, a publicist, a budget, producers, engineers, etc at your disposal as an indie artist, but you have the power and the ability to build relationships to help yourself achieve goals. On a major level you have more potential access to their major connections and opportunities to promote you as an artist, but staying independent doesn’t necessarily mean that the movement is small or incapable of adequately representing you. It is just normally associated with not having readily available access to mainstream resources. Are you an indie artist by choice or default? I believe that I am an indie artist by default because it’s not about how good your music is its about how successful you are at getting your music to someone who can get it heard and distributed to the masses! On the level that I’m on as an indie artist I have not had the opportunity to get my music to someone who is willing to walk me through some doors that I cannot get in alone. I have done all that I can. I became an artist to get my lyrics out as a writer. If offered a major record deal would you take it? If I was offered a major deal that was going to lead my career in the direction that God wants it to go I would definitely take it. I am at a point in my life where my motto is, “Not I, but CHRIST!” Not saying I feel like I have to do gospel music, but I definitely have a responsibility to win souls for Christ with whatever gifts, talents, and possessions that He’s blessed me with. To God be the Glory! Everything I do I want to do it for Him because He not only gave me life but a chance to LIVE! Only what we do for Christ will last! I have had cars, clothes, money, jewelry, and I’ve lost it all, but as long as I don’t lose my soul I don’t mind losing everything else. Any advice to up and coming artists? When it comes to giving advice to up and coming artists I have to first say seek God to order your steps and wait on Him to lead you. Then I would have to be honest and say have a backup plan for your back up plan. Don’t settle for one career path or avenue of making money and being successful. Have a career, a passion, and a hobby and try to enjoy and make money off of them all! You don’t have to restrict yourself to wanting to be an artist alone so that if that doesn’t work out you don’t have anything to fall back on. Aspire to be something that everybody else in the world is not trying to be so that there is less competition in your lane and then pursue the common path last because the chance for success isn’t impossible it’s just harder to obtain because it’s so popular. It is not easy to become a superstar, but having a sure dollar to sustain you while you pursue your dreams is a smarter way to try to get where you’re trying to go and guarantees a higher possibility of success in more than one area. Have several pots cooking on the stove, but put some elbow grease into whatever you’re cooking. What you put in is what you get out! You can’t expect to put a potato in the oven and get a steak out. Don’t take shortcuts. This microwave society wants instant gratification and has no patience, but anything worth having is worth waiting patiently and working diligently for. How can supporters purchase your music? https://m.datpiff.com/tape/622540**FOR FREE** and all of my music can be found through the Official Grindhard Radio Website here: http://WWW.GRINDHARDRADIO.COM or by going to Google and typing in Virginia Supernova Slim. That will also link you to all of my other music streaming sites and social media sites. When all is said and done I want to be remembered for living a life of substance, both spiritually and physically. I want my name to by synonymous with perseverance through persecution and from that I want people to be encouraged and know that the same God that brought me through will deliver them too! I want my legacy to be interpreted as, not I, BUT CHRIST! It’s not how or where you start, but how strong you finish! I want people to say, “Virginia Supernova Slim allowed God to turn her flaws, mistakes, and sins into success for His Kingdom!” They say nothing beats a failure but a try, but I say nothing beats a try but to try again until you are successful! I want people to know without a shadow of a doubt that I was God-fearing, sincere, genuine, accepting, nurturing, family-oriented, and that I gave 110% to the people who God placed in my path until I took my very last breath. In some way shape or form I want my life and death to impact souls and win them for Christ and I want to contribute to the advancement of the human race. Only then will I feel like my life mattered. How can my incredible subscribers, supporters and guests check you out on Grindhard Radio (language advisory)? GrindhardRadio is live every Tuesday and Thursday from 11p-1a EST and we have a show that’s live on the network just about every night of the week including: The Mass Debaters which is live every Monday and Wednesday from 10p-12a EST, Grown Folks Business which is live every Saturday from 5p-7p EST, and The Radio Divas which is live every Sunday from 7p-9p EST. My music and social media sites can be found by typing Virginia Supernova Slim in Google! 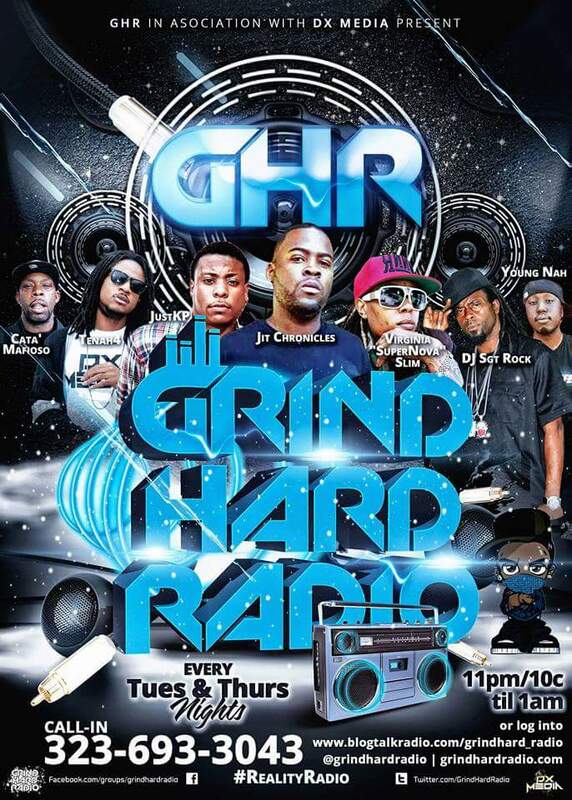 You can also submit mp3 formatted music to grindhard904@gmail.com for free interviews on the show. Please include all song and artist information. ++September is #SuicidePreventionMonth! You can help by please sharing her story with others who may feel hopeless and ready to give up. As usual thanks for your love and support of authenticitee: inspiration without the other stuff. Such a dope and inspiring interview! Wow!